Mirren won the Tony for leading actress in a play on June 7. Mirren is one of the most celebrated actresses of our time, having won international recognition for her work on stage, screen and television. She won the Academy Award®for her portrayal of Queen Elizabeth II in “The Queen” in 2006 as well as a Golden Globe, Screen Actors Guild (SAG) Award®, and BAFTA Award for Best Actress. She has been named Best Actress by virtually every critics organization from Los Angeles to London. In 2014, she was honored with the BAFTA Fellowship for her outstanding career in film. Mirren will be joined by an eclectic group of inspiring speakers, including speakersMelissa Arnot, the western women’s world record-holder for Everest summits. A digital panel will feature Rachel Sklar, Founder and CEO of TheLi.st; Shelley Zalis, CEO of IPSOS OTX; Whitney Bouck, SVP of global marketing for Box; Joanna Pena-Bickley, global chief creative officer for IBM Interactive; and Gayle Troberman, CMO of IHeartMedia. The breakfast on June 16 will be hosted by TheWrap’s CEO and Editor-in-Chief Sharon Waxman; film and theater producer Paula Wagner; A+E Networks President and CEO Nancy Dubuc; SVP of Industry Alliances of Box and Founder of Box.org Karen Appleton; CEO of CreativeFuture Ruth Vitale; and SVP of Game Programming for SGN Jill Wilson. In 2015, TheWrap expanded its successful Power Women Breakfast franchise to New York and San Francisco, bringing together leading influential women of entertainment, media, technology and brands in key cities to network and connect. The series has built a broad community of professional women who are decision makers and mothers, leaders and wives, innovators and activists. Each event brings inspiring speakers to talk about issues that relate to top women influencers. Currently, Mirren can be seen on Broadway, reprising her award-winning role as Queen Elizabeth II in “The Audience,” a new play by Peter Morgan, directed by Stephen Daldry, for which she is a front-runner for the Tony Award. 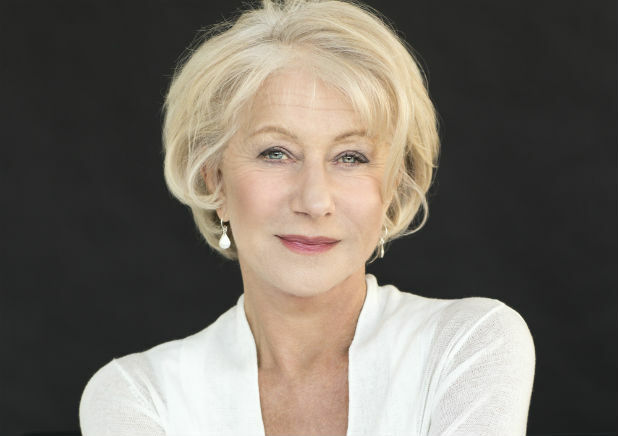 Most recently, Mirren was seen in The Weinstein’s Company’s “Woman in Gold” and Disney’s “100 Foot Journey.” She will next be seen in Bleecker Street Media’s “Trumbo” and IPA Asia Pacific’s “Eye in the Sky.” She became a Dame of the British Empire in 2003. Melissa Arnot has made her mark as a caring guide and passionate adventurer. She has climbed to the summit Mt. Everest more times than any other woman; she has also summited Mt. Kilimanjaro, Mt. Rainier and Mt. McKinley. Rachel Sklar is a writer, entrepreneur and co-founder of Change The Ratio, which increases visibility and opportunity for women in tech & new media, and TheLi.st, a network and media platform for awesome women. Shelley Zalis created OTX (Online Testing Exchange), has became one of the largest and fastest growing research companies in the world. The event is sponsored by Box, SGN, Lifetime and CreativeFuture. Previous speakers at TheWrap’s Power Women breakfast include comedian Chelsea Handler, activist-actress Salma Hayek, producer and entrepreneur Gail Berman, California Attorney General Kamala Harris, media executive Nancy Tellem, digital executive Susan Lyne, technology journalist Kara Swisher and many others.